For more than seventy years the Big Sur Community, Monterey County, The State of California, and our federal government have come together to preserve the rural character and wild beauty of the Big Sur Coast. There have been many local skirmishes, landmark legal decisions, statewide ballot propositions and national political initiatives. All have worked to the same end: to preserve this remarkable coast for posterity, as a national treasure. Past planning has been conscious of the unique qualities of Big Sur. Soon after the construction of Highway 1 in the late 1930’s, the County drew national attention when it successfully prevented the construction of a service station advertising sign and won a landmark case, securing for local government the right to use its police power for aesthetic purposes. Beginning in 1959 and continuing until 1962, the County worked with local residents and consultants to develop a master plan for the coast. This plan, known as the Monterey County Coast Master Plan, has been recognized as both innovative and far reaching and has enjoyed the support of the people in the area. Public participation in development of this plan has been extensive. A Citizen Advisory Committee appointed in 1976 by the Board of Supervisors held numerous meetings to provide direction for the plan and related studies. These meetings were often well attended by residents of the area and the general public. A series of town hall meetings were held in Big Sur at important points in the process to solicit the views of the entire community. Public agency participation included frequent and close working relationships with virtually every agency with an important role on the coast. Numerous presentations by State and Federal Agency personnel were made to the community. The plan has specifically been prepared to conform to the purposes and spirit of the California Coastal Act. 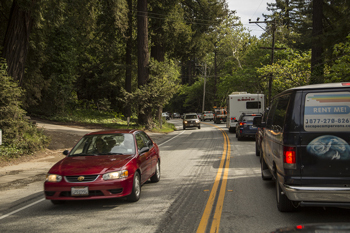 Its proposals are intended to resolve the difficult issues that face Big Sur’s future. The California Coastal Commission certified the Big Sur plan in 1986. The County of Monterey voted to approve it in 1988. During the late 1970’s and early 1980’s, a protracted battle was fought over the federalization of the Big Sur Coast. Who could best protect Big Sur? Should it be a National Park? Or could Monterey County and the local community successfully preserve it? The B.S.L.C.P, being developed during this period, gave many locals hope that the Big Sur coast could be protected with this local oversight. The effort to federalize Big Sur was ultimately defeated. Some years later Congressman Leon Pannetta assisted in the formation of the Big Sur Multi-Agency Council to bring all agencies involved in Big Sur together. These agencies were united under the policies and goals of the B.S.L.C.P. In 1990 a Big Sur L.C.P. advocacy group was formed under the title Coast Watch. 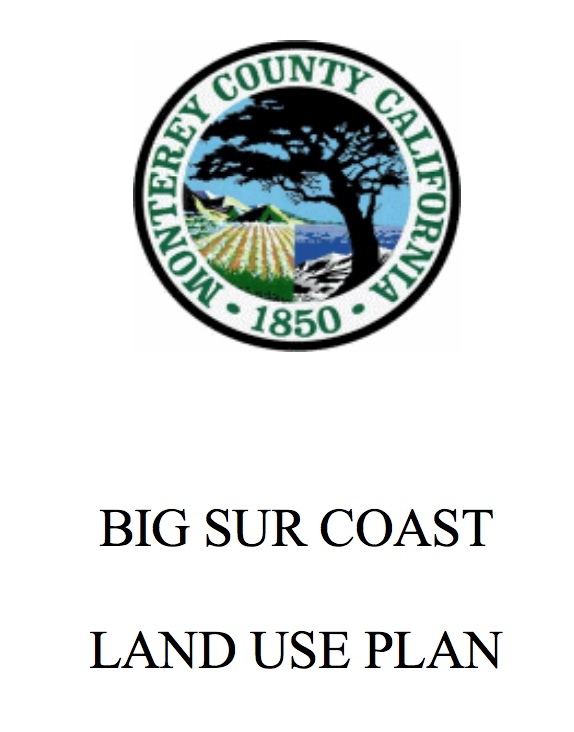 From 1997-1999 they helped in the effort to exempt the Big Sur Planning Area from the Monterey County STR ordinance thereby making short term rental (less than 30 days) illegal in Big Sur.